After breakfast transfer to nearby Brodsworth Hall for an included visit. From the middle of the Victorian era it survived with remarkably few changes until taken on by English Heritage in 1990. The gardens have been restored, and the interiors gently conserved, telling the story of the changing fortunes of the people who lived and worked here.Wander around this beautiful Victorian country house, roam the gorgeous gardens and stop for tea in the tearoom. Afternoon/evening journey back to Essex. One of Derbyshires most lovely and unspoilt valleys, stretching from the outskirts of Derby to Wirksworth, an ancient market town known as the Gem of the Peak. 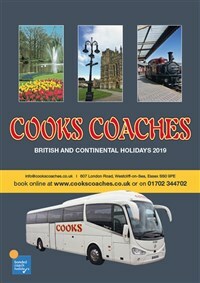 Enjoy another Heritage Railway on this tour. 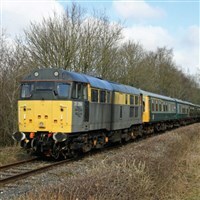 Mainly using diesel railcars with, on selected days, steam hauled services. In contrast Brodsworth Hall, between Sheffield and Doncaster, was built, and the pleasure gardens laid out, in the 1860s, as a new home for the Thellusson family. Two very different attractions for a memorable two days. BEST WESTERN PLUS RETFORD HOTEL http://www.bestwestern.co.uk/. The West Retford Hotel is set in attractive gardens close to the town centre. It was formerly an 18th Century Manor House. All bedrooms are en suite and have TV, telephone, hairdryer and tea/coffee making facilities. Free WiFi.